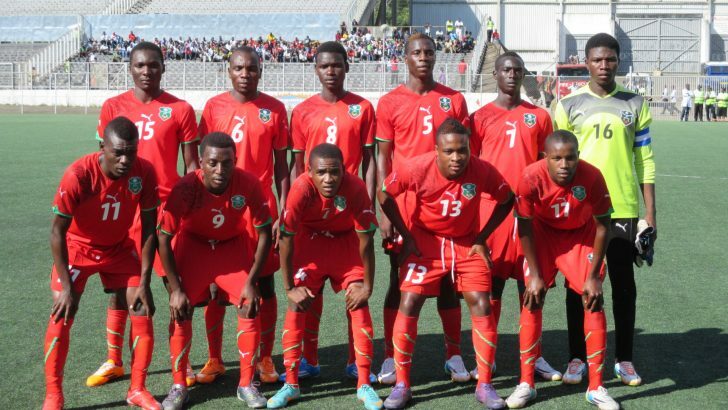 The Malawi Under 20 national football team is the national team of boys under the age of 20 that represent Malawi in international football. The team’s main existence was seen in July 1997 when then as an under 18 squad that went to Europe for am month long tour under the tutelage of former technical director Manfred Horner from Germany. They participated in tow major European Youth tournaments, The Dana Cup in Denmark which they won and the Gonthia Cup in Sweden which they were eliminated in the semifinals. From there the whole squad formed the first Under 20 squad that participated in the inaugural Cosafa Under 20 Youth Championship in December 1997 in Gaborone in Botswana. The team managed to win bronze in Botswana after finishing third. From there the whole team was promoted to the senior national team. In 1999 the team made a remark achievement when it qualified for the Under 20 Youth Championship in Ghana where it was eliminated in the group stages. This was the first and only time a Malawi Under 20 teams has qualified for the event. Flames long serving captain Peter Mponda was captain of the dream team. The team has also participated in every Cosafa Under 20 annual Championship , save for 2010 and 2009 when the team failed to travel due to lack of funds. The team has never won the Cosafa Under 20 Championship and made only one final appearance in 2003 losing to Zambia 4-0. The team has however lost in the semifinals three times in 1997, 2006 and 2011. In 2006, 2008 the team participated in the Africa Youth Championship but lost in the qualifying round just like in 2010. The team made the country proud by winning the gold medal at the Zone VI games in South Africa in 2008. This was despite that the team had only 11 players for the entire tournament in which they played six games as others were sent back home due to registration irregularities. This is the only trophy an Under 20 national football team in Malawi has ever won. The Zone VI team produced current Flames players like Limbikani Mzava and Robin Ngalande. The team failed to defend the gold during the 2010 games in Swaziland as they were eliminated in the group stages.